Working full time, juggling sports, homework, cleaning and cooking can be really exhausting. On most nights in all honesty I feel like I just want to get some take out, park my hind end on the couch and top off a big glass of wine and check out! 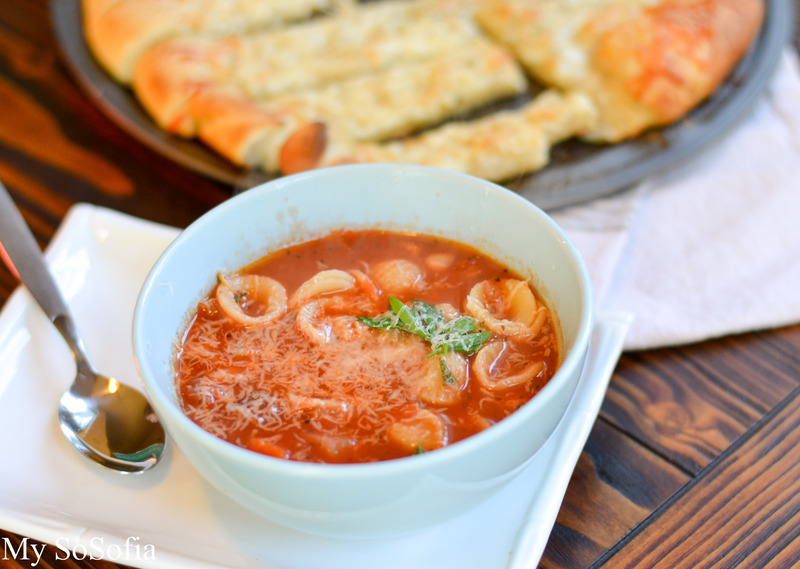 Then Recipes like this soup make their way to me and im drooling over my computer screen knowing no take out will taste as good as homemade…. 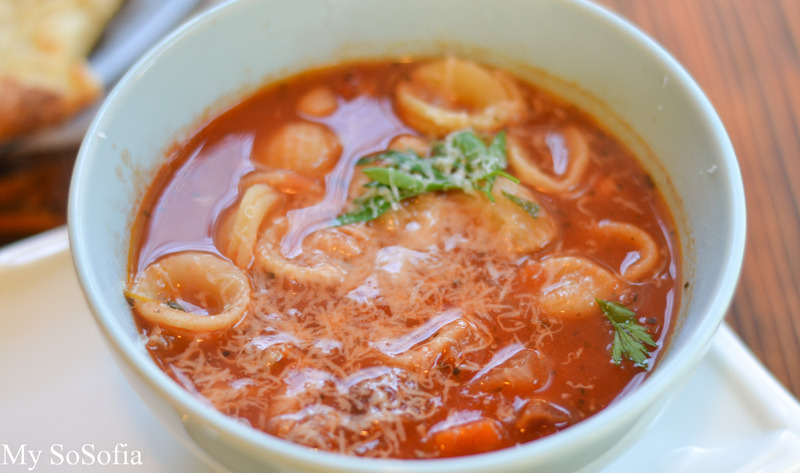 This soup is very easy, healthy and filling. I used orchetti noodles but any will do. Heat olive oil in a large Dutch oven pot/stock pot. Add onions Cooking for 2-3 minutes then add the carrots, celery, sage, basil, salt and pepper to taste. Cook for about 5 minutes then add minced garlic stirring constantly for about 30 seconds. . Add tomatoes, chicken broth and beans. Simmer soup on low heat for 30-45 minutes. Ladle into bowls and top with fresh parsley and Parmesan cheese! Those three things plus these amazing shrimp tacos are basically what my day is about. Lets get something out of the way.. 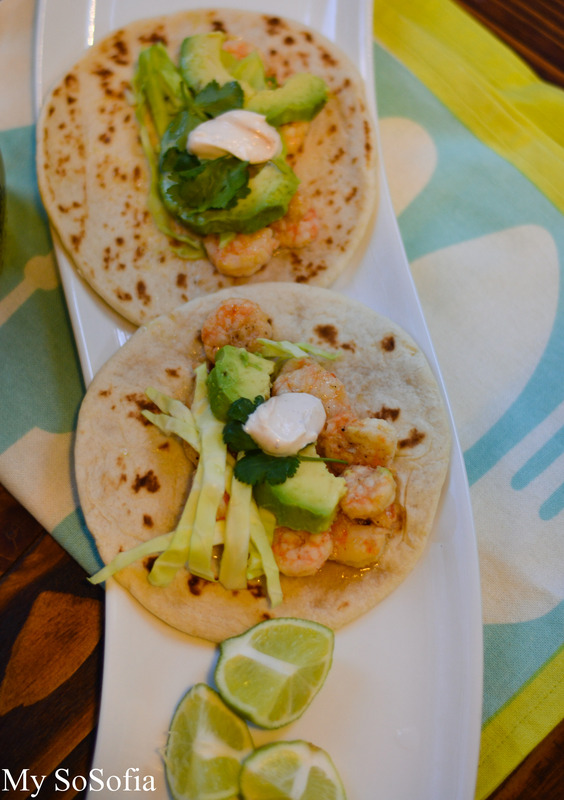 These tacos are so easy to make and they are beyond delicious! With just a kick of spicy hinted with the sweetness of the honey make for the perfect combo! 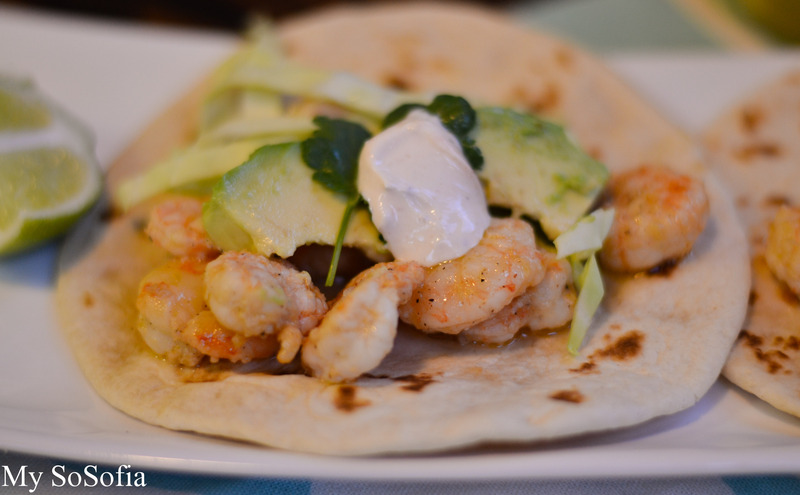 The lead characters include: Shrimp ( well duh) lime, honey and chipotle! and well the amazing sour cream that we top on these guys is incredible! In a large bowl, mix together the lime juice, olive oil, honey, chipotle and adobo sauce, garlic and lime. Season with salt and pepper. Add the shrimp, cover and marinate for about 20 minutes. While the shrimp is marinating, make the sour cream. In a small bowl, combine the sour cream, chipotle in adobo, lime juice, zest and garlic. Mix well and refrigerate until ready to use. Heat a large skillet over medium-high heat. Drain the shrimp and add the shrimp to the hot skillet. Cook until the shrimp 3-5 minutes until it turns pink. 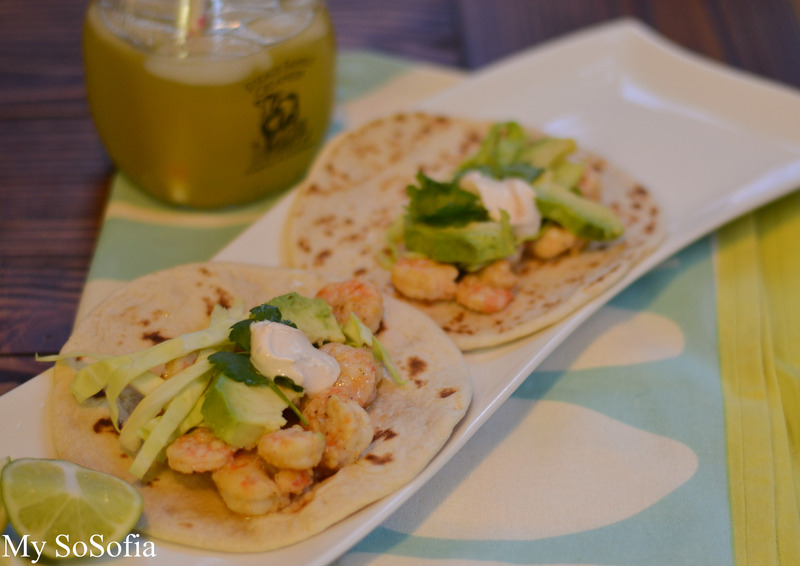 Assemble the tacos, top each tortilla with some of the shrimp, cabbage, avocado, cilantro and Queso Fresco. Put a dollop of cream and dig in! 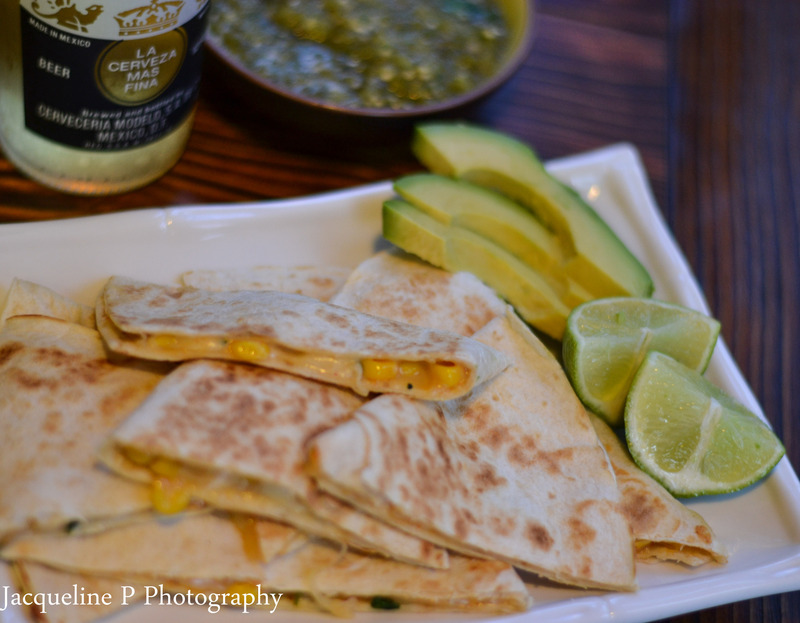 My family loves quesadillas. They are such an easy snack to put together or a quick dinner when you just dont have time. speaking of time.. where does it go. 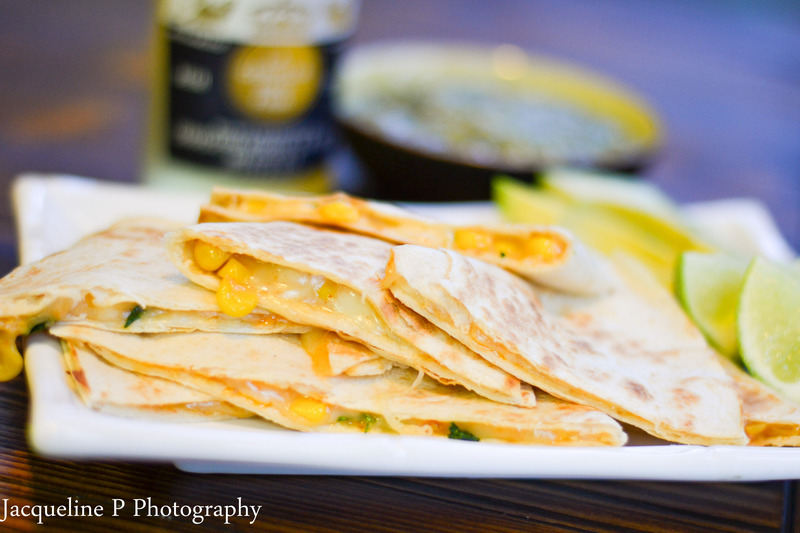 Anyways these quesadillas are SO good! not to mention EASY! So it is very important to use the SMOKED paprika when making these. This is what gives the smokey flavor. In a medium bowl, mix together the corn, Jack cheese, cilantro, paprika, and 1/8 tsp. salt. Divide the mixture between the tortillas, scattering it over half of each; fold the tortillas in half. Heat the oil in skillet or griddle over medium heat until shimmering. Add the quesadillas and cook until browned and crisp on the bottom, about 1 minute. Flip and continue to cook until cheese is melted. If you are looking for a special kinda dinner this is it. 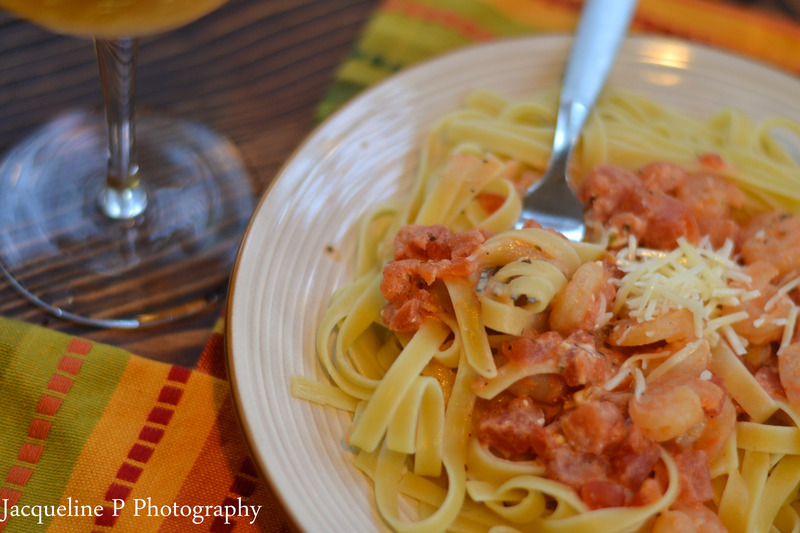 You dont need to put much work for this creamy delightful pasta. Serve with a fresh salad and bread for a complete scrumptious dinner! I really love simple meals that taste like I put a lot of effort into them. Don’t forget to top with Parmesan cheese! Melt butter in skillet over medium-medium high. Sprinkle shrimp with herbs, seasoned salt, and a little S&P. 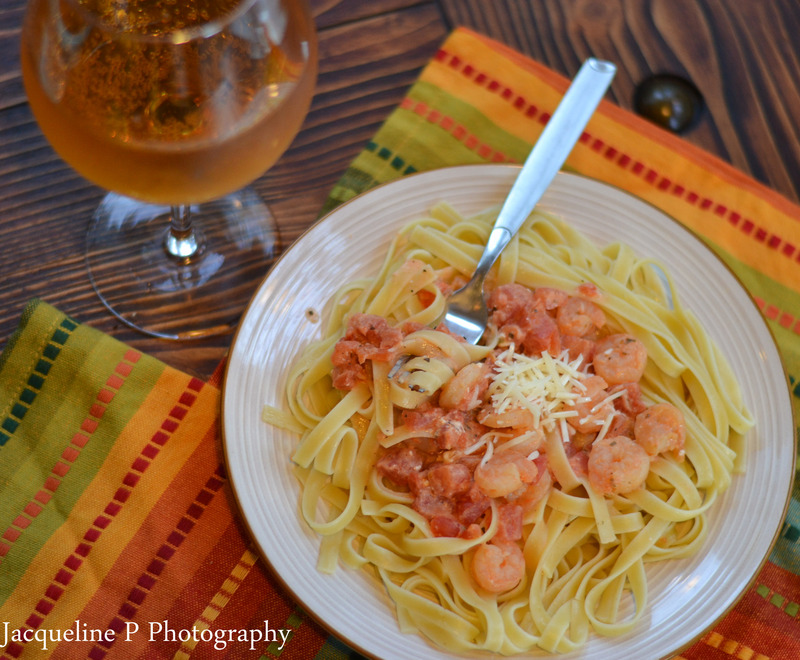 Once butter has melted drop shrimp in skillet cooking for a few minutes until shrimp turns pink. Add lemon juice, diced tomatoes and simmer about 5 minutes. Next add in dollops of cream cheese stirring until mixed. Toss together pasta, noodles and a bit of pasta water if needed to thin. You must fry them and not bake! Let me repeat that in case you didn’t grasp it the first time. Now, let me explain this directive. The frying is necessary, because the frying tortilla in oil just gives them that extra special flavor that just plain ol baking wont do. 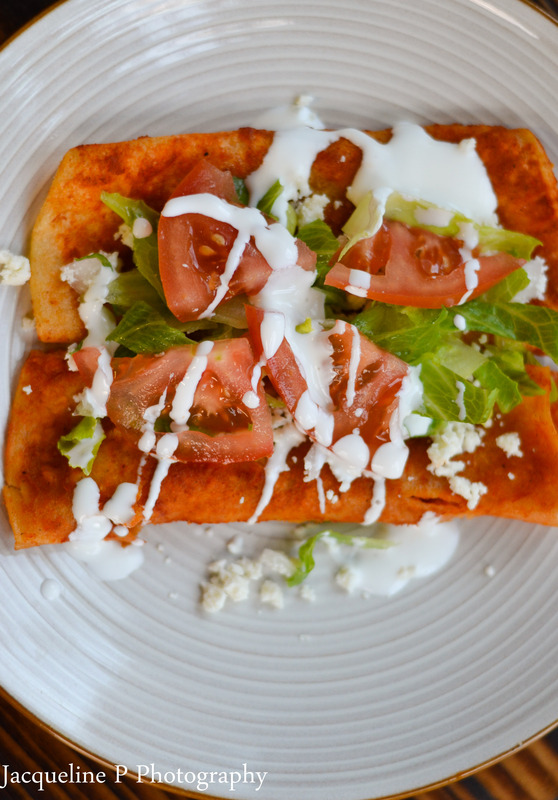 So if you are looking for a healthy meal … well you might want to skip.. but then you would be missing out on these fabulous tasty enchiladas! Ignore me. Just ignore me. 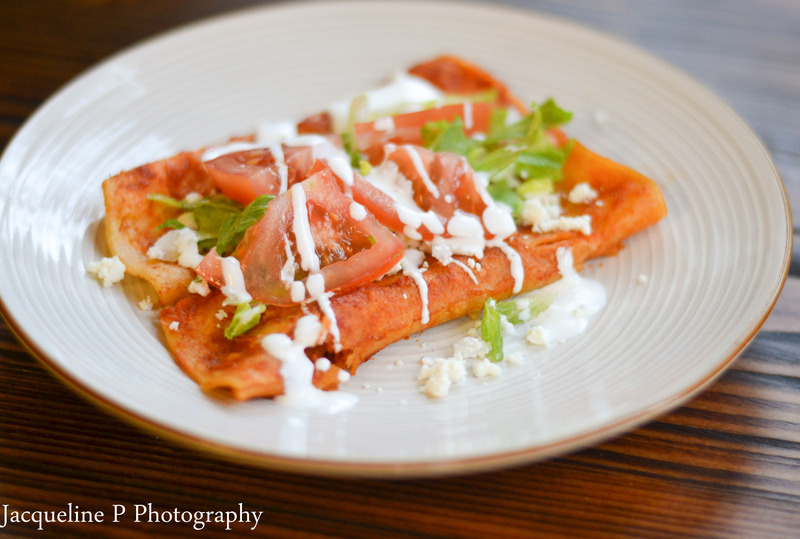 And enjoy these enchiladas, my friends! 4 Guajillo Peppers , seeds removed. 4 Ancho Peppers , seeds removed. Slightly roast the peppers on a griddle about 30 seconds on each side. Once roasted place peppers in small saucepan with enough water to cover. Boil about 15 minutes or until peppers are soft. Remove from heat and let stand another 10-20 minutes. After peppers have rested blend with garlic salt and pepper, until a smooth puree adding a bit of water if needed. Add about 2 tablespoons of corn oil to a skillet over medium heat. In separate skillet heat the pepper sauce over low heat. Dip tortilla is sauce and then lightly fry in oil. Maybe 10 seconds each side on tortilla. If using meat this is when you would want to fill your tortillas or you can fill with cheese and onion. Transfer to a plate and top with all your fixins! Serve immediately. Alrighty peeps lets get down to business and make some … pasta! Did you know that this dish is super simple and very cheap to make? I calculated my dinner total at a whopping $1.62 a plate! So if you have no time in your day like me who runs around like a chicken with my head cut off on a daily basis then this is the dish for you! Cook the pasta in salted water according to package directions. Once cooked, drain and return to pot. 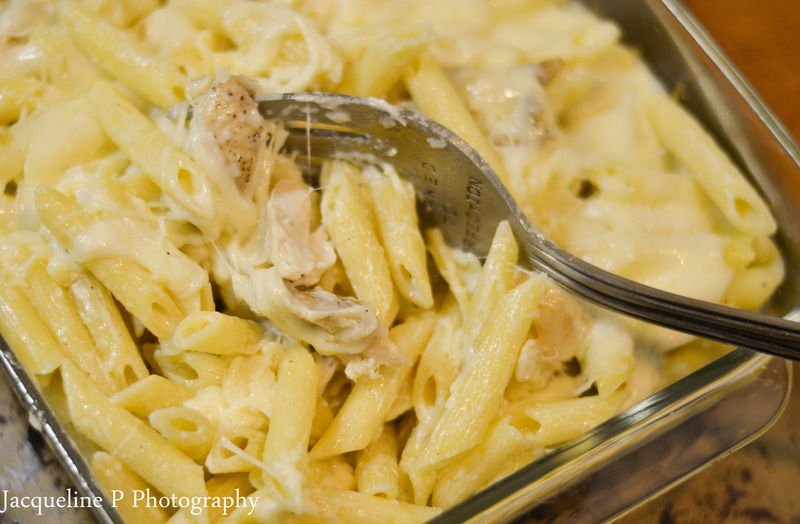 Combine Chicken, pasta and Alfredo sauce ( recipe below ) and toss to combine until the pasta is evenly coated. Bake for 20-25 minutes until the cheese is melted and just barely starts to turn golden. Remove and serve immediately. 1. Heating olive oil in a large saucepan over medium heat. Once oil is hot saute garlic about one minute until fragrant. Sprinkle flour and stir to combine and cook another minute. Slowly add chicken broth and milk whisking as you go. Simmer until thickened about 5 minutes. Stir in Parmesan cheese, salt and pepper stirring until cheese is melted. Set aside until ready for pasta. 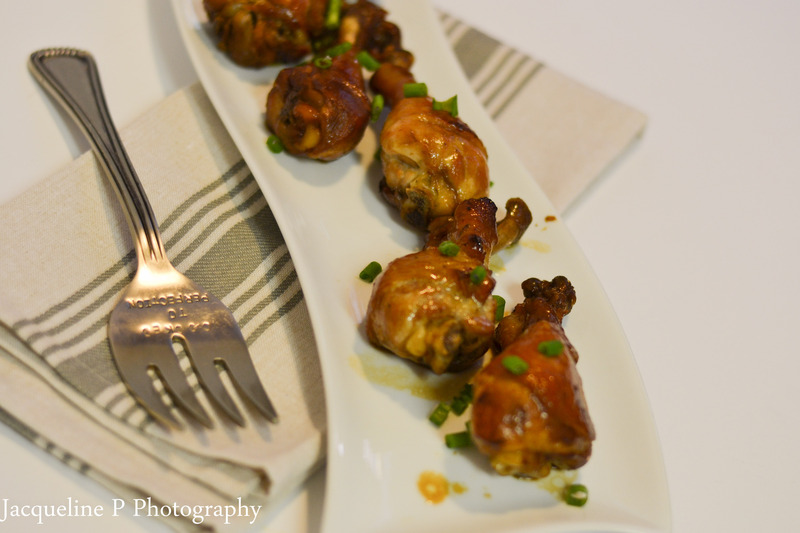 Baked in the oven these drumsticks are a tad of sweet,tangy and spicy all in one! I made this chicken the other night and if I must be honest I am not a drumstick fan. 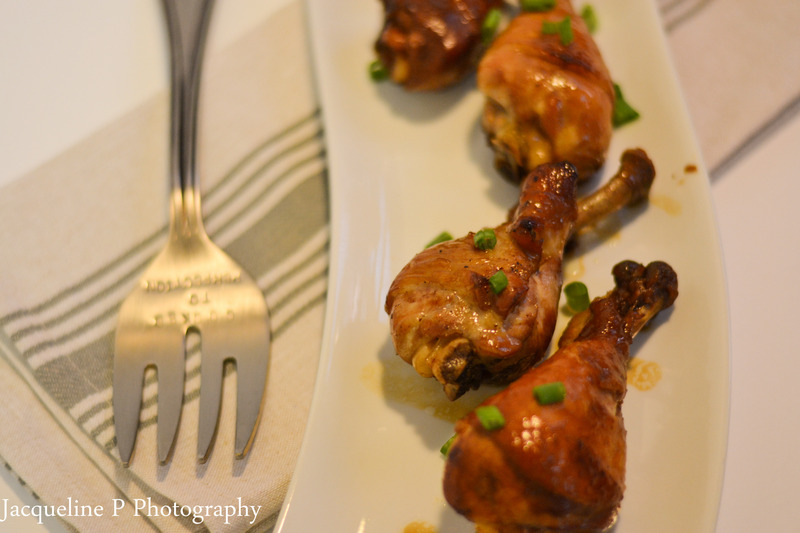 I got these drumsticks being well attempting to be a cheap skate and chicken breasts can be more on the pricey side. Well these were AMAZING! Packed with flavor, fall off the bone tender meat. aaahhhhhh… the good life! chopped green onions for garnish. In a shallow baking dish whisk together all ingredients, except chicken of course! Toss chicken in marinate and cover and refrigerate for at least 3 hours or over night. Pre-heat oven to 350 degrees. Uncover chicken and bake about an hour turning chicken over mid-way so the chicken will be evenly coated and get that beautiful caramel color.